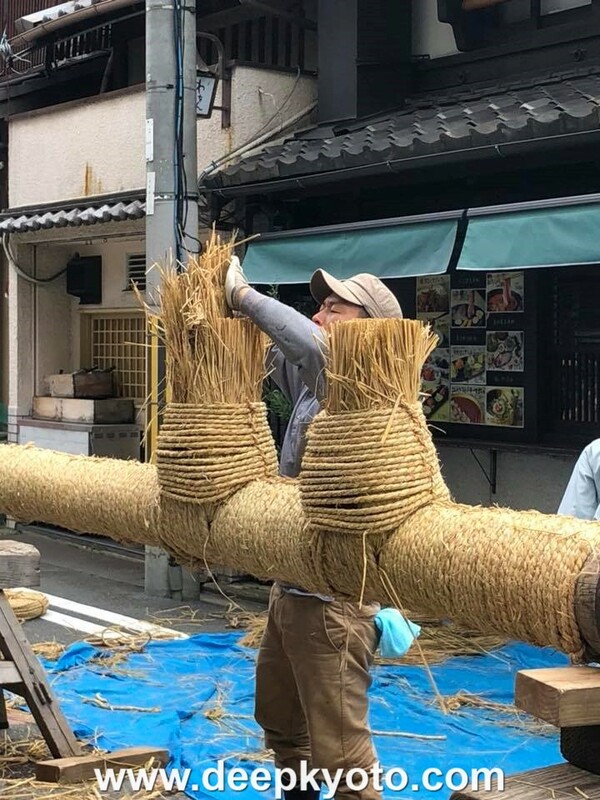 As Gion Festival’s pipes and bells chime throughout central Kyoto, Edward J. Taylor continues his ongoing exploration of Deep Kyoto’s streets with a stroll through the matsuri preparations on Shinmachi. July rolled around, and not long afterward the rainy season came to an end, albeit with a devastating coda. The end of the rains ushers in the cadence of the cicada, and in Kyoto, their call serves to herald the city’s popular Gion Matsuri, one of Japan’s biggest festivals. 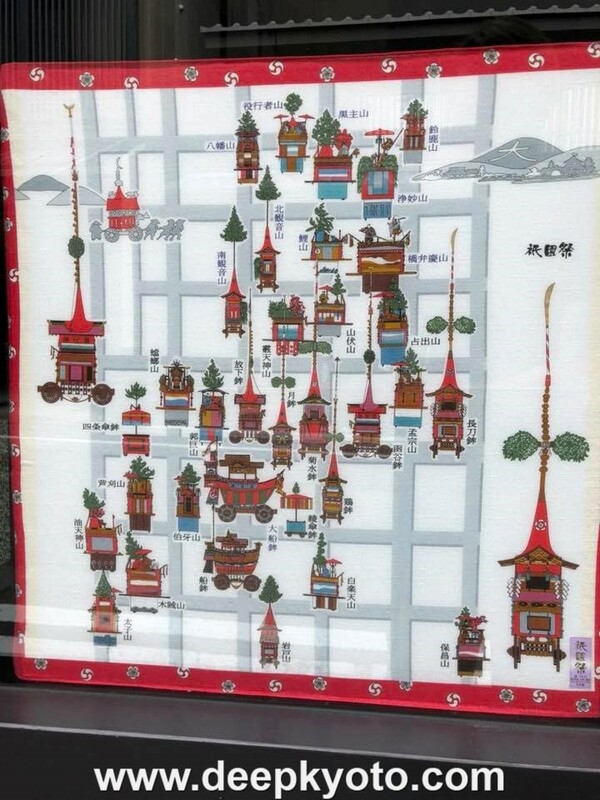 I have a number of walks in mind for this series, but wanting this month to do something Gion related, I looked over maps for a route that would take me through the neighborhoods whose yamaboko “floats” would be on display. 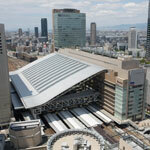 Ironically, the two best streets, Muromachi and Bukokuji I’d already walked, but Shinmachi came in at a close third. In keeping with the theme, I wanted to walk the street in its entirety, to explore the old and the new. 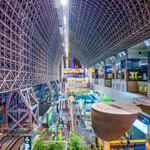 Having learned my lesson from previous walks, I chose not to begin any further south than Kyoto station. That said, I was confused for a moment as the first initial blocks leading from the station resemble exactly Higashinotoin a few blocks over, all parking lots and convenience stores. I used to joke that if you were blindfolded and placed in front of the train station in any of Japan’s medium sized cities, when the blindfold was removed you’d have no idea what city you were in. The same can be said I suppose for Kyoto’s backstreets, which can likewise be pretty cookie-cutter, until you begin to dig in. Yet the woman in front of me is pure Kyoto, with her expensive kimono and parasol. 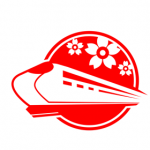 So too I suppose are the handful of retrofit guesthouses, and the restaurants boasting of English menus. Little of the truly old remains down here, but for a pair of Doso-jin statues, a café specializing in rice omelettes, and an Edo period shop that constructs old bathtubs of a similar wooden make. Over Gojō, I spy a sign for “Breath Garden,” a place that a number of persons I’ve met on trains over the years should really visit. I also see a machiya that looks like it is being attacked by Giger-like tentacles: ventilation for a hormone BBQ shop. Shinmachi begins to come into its own from here. Known since Heian times as Machiguchi-kōji (or Alley at the Mouth of Town), the name was changed to Shinmachi in the early 1570s, when the area’s old market had expanded to such an extent that it became a sort of village in its own right. This village can be further divided into neighborhood guilds, many of which sponsor the thirty-two yamaboko that take part in two parades, a week apart. Signs of preparation begin just beyond Takatsuji-dōri, which has been closed to automobile traffic. Overhead, the power lines have already been pulled back and wrapped in yellowish-green netting. Little did I know, but I’d chosen to walk on the day when the actual construction begins. 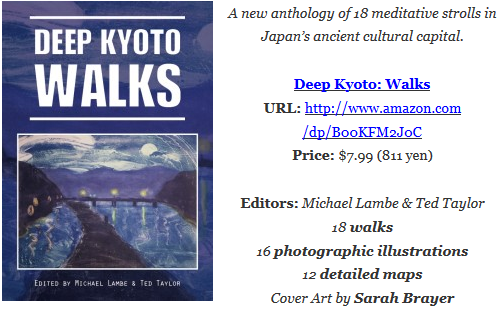 Besides the cicada and the floats and the ubiquitous cling-clong background song (which is simply everywhere and outside the scope of this piece), another association with Gion Matsuri is the heat. The festival originated in 869 as a means of appeasing the wrathful deity Gozu Tennō during a time of plague and pestilence, an event to be repeated with each subsequent outbreak. The summer timing makes sense when you consider the heat would bring with it outbreaks in disease. And while the men assembling the floats look hardy enough, they certainly appear to be struggling with the heat. A few of them are tying the floats together with what I presume to be rice straw. 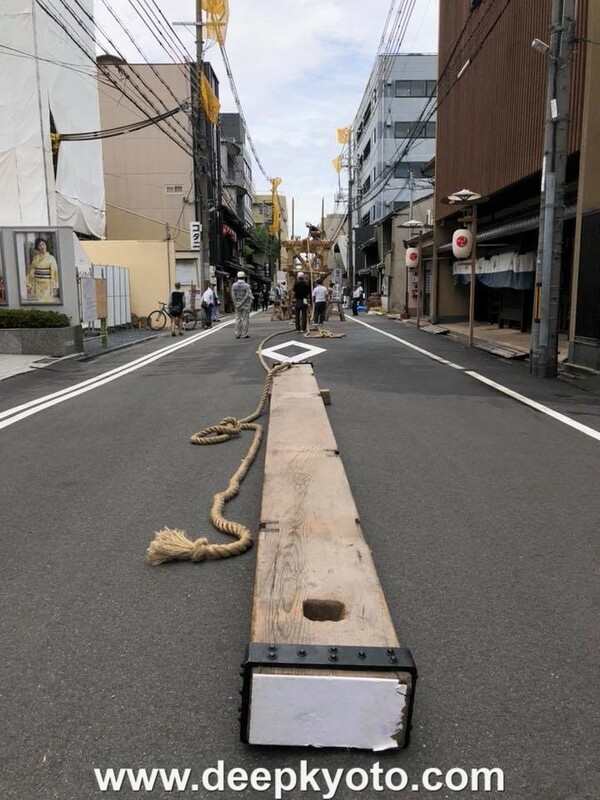 I understand that this is a very precise practice, and that those tying the ropes are seasoned veterans. Other men schlepp boxes and materials, and the truly old ones sit in the shade and fan themselves. The women seem regulated to setting up the adjacent shops, which will serve as staging areas for the floats over the coming week. People are encouraged to visit, and for a small fee can enter many of the floats themselves, over planks extending from the second floor. This initial yama float under construction is Iwatō-yama, associated with three major deities from Japanese history and mythology: Amaterasu Ōmikami, Tajikaro No-Mikoto and Izanagi No-Mikoto. The latter, as one of Japan’s primordial deities, stirred into creation the Japanese islands and people. Some of this ongoing Japanese creative energy can be seen in the adjacent Terminal Kyoto, a café/gallery space that also houses performance art. The current exhibition has massive lengths of iron twisting and contorting upward in a way similar to that seen in Butoh, an art form that is in itself somewhat primordial, reminding me of man’s labors in pulling himself out of the universal ooze. A block further on is the popular Fune-boko, whose ship shape represents the voyage undertaken by Empress Jingu, a fourth-century shamaness-ruler to subjugate the Kingdom of Silla on the Korean peninsula. My favorite tale involving Jingu is that she was able to conceal her pregnancy for the entire three years (!) of the fighting. She eventually gave birth to future emperor Ōjin, who was himself later enshrined at Kyushu’s Usa Shrine as Hachiman, the god of war. 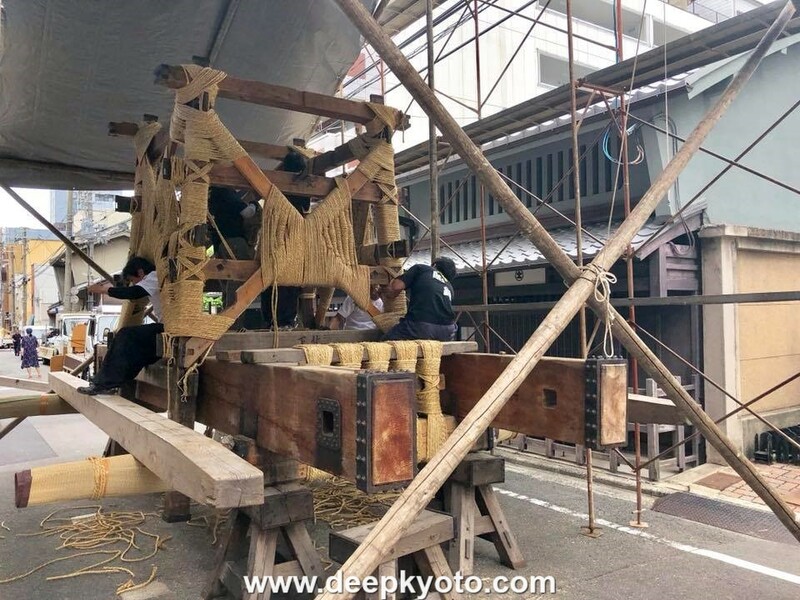 Jingu’s return voyage to Japan will be represented by the Ōfune Boko, constructed a week later on this same block (and presumably by this same team of men), as will the affiliated Hachiman yama in honor of her offspring. A garage on the next corner has been converted to a sort of functional control center. It looks like they were doling out work, the front table covered in neatly organized cards, and various drawings, maps, and signs hanging about. I notice it due to the assemblage of men clustered out front in the street. Judging from their overall rough look and flamboyant clothing, I decide it best not ask too many questions. Across Shijo, things get a little more intricate. 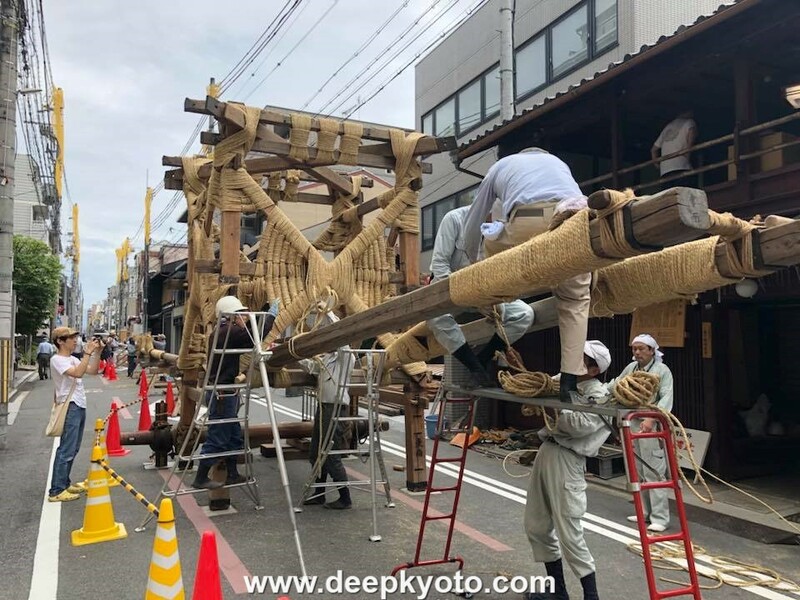 The already constructed Tsuki-hoko can be seen down the main boulevard, but here on Shinmachi, a float with the fun-to-say name of Hoka Boko is still being pieced together. One man trims some strands of rice straw into a sort of buzz cut. A number of deities decorate this particular float, but the central figure is the namesake Hōkazō, or renunciate monk, who historically had wrapped their teachings in street theater. This particular figure is one of only two hinged figures in the entire parade, whose dance movements are controlled by a sort-of puppeteer. Until 1927 they were performed by an actual boy. This neighborhood itself is in great motion, as a number of shops are set up in adjacent buildings, namely the Mukadeyama, housed in an attractive machiya. Many of the goods for sale here are of the commemorative sort, like tabi socks, towels and miniature floats. But a good number appear to be elements of the costumes worn by participants of the parade itself. The sign on the second floor reads Ee-monya, a school that offers clasess on how to wear the notoriously complex kimono. Luckily, it is yukata season. These shops and their wares are a testament to the hard preservation work of the neighborhood residents during decades of hyperactive growth. 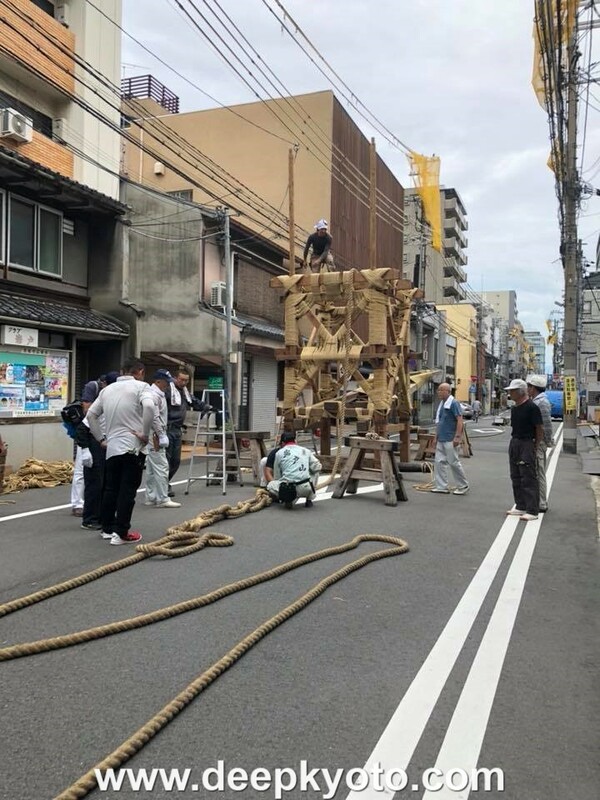 A week from now, construction will begin on a pair of floats for the second, Ato Matsuri Parade: Kita Kannon Yama and Minami Kannon Yama, both dedicated to the Goddess of Compassion. These floats are the most ornately decorated of the entire festival, with elements symbolic of Kyoto’s earliest connections with the old Chinese capital of Xi’an. As part of this proud heritage, generally only absolute locals are allowed aboard the floats. And the neighborhood itself has an interesting tale. The oddly named Mukadeya-cho (House of the Centipede) is an adaptation of the name of a prosperous merchant who was said have “gotten a leg up” on his competitors. 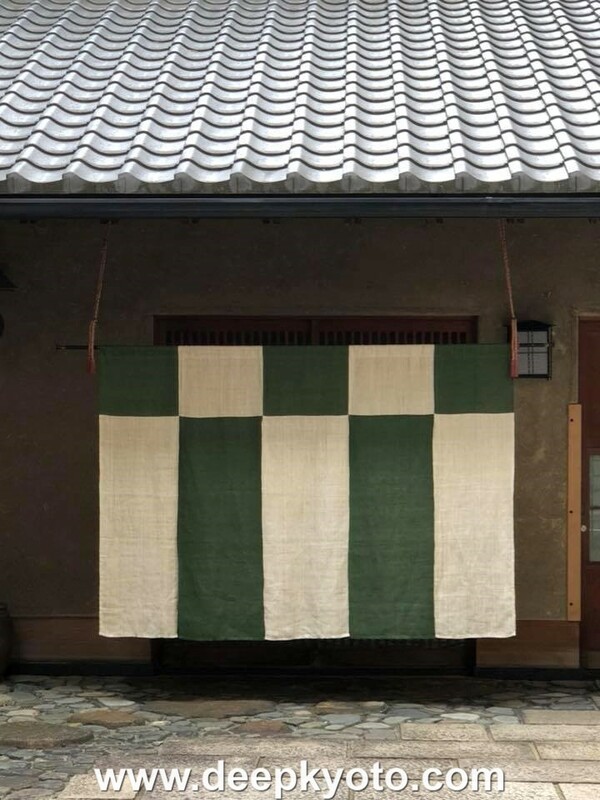 As central to the old Shinmachi market town, the roots of the traditional craftspeople too are still honored, like the Nameless House (ancestor of Muji? ), which once sold white cloth, or the Shiori-an Museum, dedicated to weaving. This former Edo period doctor’s office was converted to that trade in the 1930s, and is now recognized by Kyoto city as a designated tangible cultural heritage site. The most extensive plaque however effuses about the former site of a 17th currency exchange office of the Mitsui family, converted with the coming of the Meiji period to the first Kyoto branch of their new Sumitomo Mitsui Banking Corporation. Perhaps loans from that very bank have helped fund the spate of construction of new luxury flats centered around the streets emanating from Oike, itself always an attractive upmarket address. I’ve mentioned these new flats in my other pieces, noticeable due their pleasant stream-lined and delicate look, modern yet blending tastefully with the city. But they are yet another reason for me to be anxious about what this city is becoming. In these days of declining population, for whom are they being built for? And more importantly, who is dictating these changes? In what is becoming yet another theme, the road north of Oike is dedicated to newer houses and construction blocks, as well as a number of small concrete edifices belying nameless and faceless workplaces. 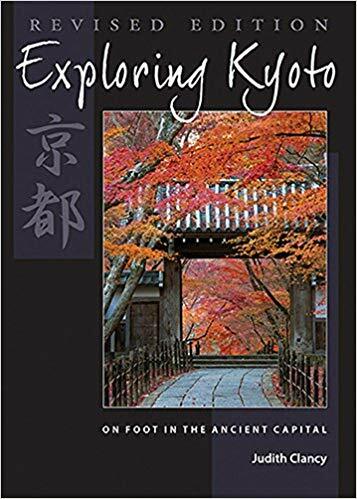 There are a few interesting exceptions, namely the site of the Kyoto Shugoshoku, which oversaw the operations of the Tokugawa Shogunate during its last six years of existence. The grounds have been converted into the immense, Meiji era headquarters of the Kyoto Prefectural Police, as well as the neighboring Prefectural Office itself, which looks like it was pinched from Fontainebleau. A similarly-dated Doshisha University begins to make its appearance in a handful of old buildings centered around Imadegawa, the faux-European stonework adding an attractive touch. 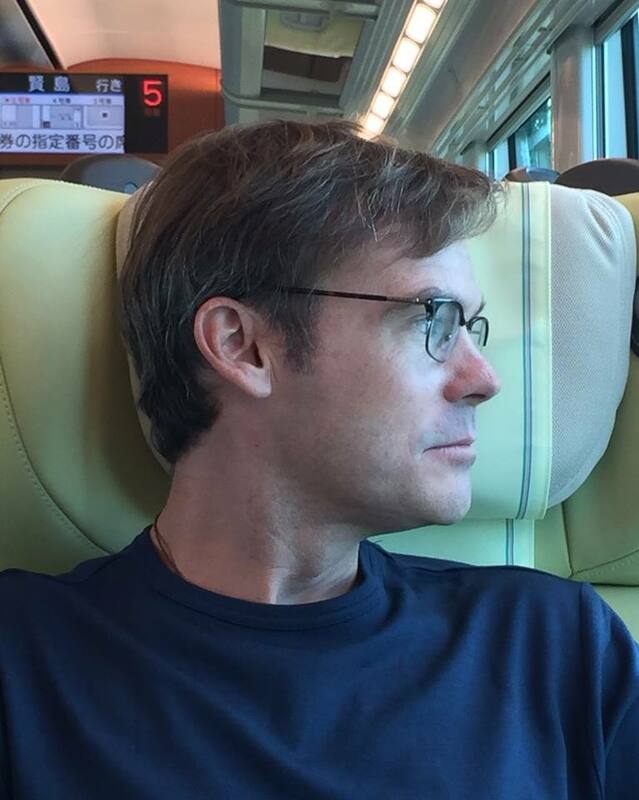 (As such, the beautiful wooden face of the Kamigyo-ku town office looks almost revisionist.) In a quiet neighborhood not far beyond is the even older Edo-period home of Sawai soy sauce, which offers free tastings and sells some pretty attractive aprons. But for most part, signs of the old have petered out completely, and any remaining symbols of Gion Matsuri linger downtown. I intend to revisit Shinmachi again, or at least a particularly intriguing series of blocks at its northern end. But for the time being, I’ll lay down my pen.